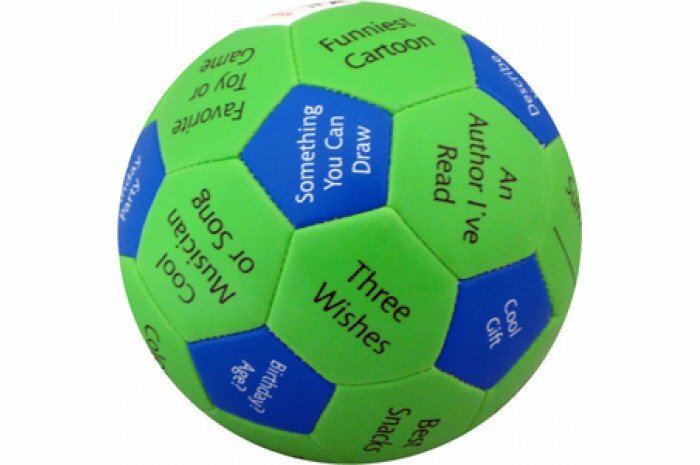 A fun little ball that's great for groups or family therapy. Use as an icebreaker or a game. There are 32 panels to respond to such as "A Lunch I Like" "Describe your family" and our favorite "Choose a magical power". Stimulating game to release excess energy and learning without boredom. These little Thumballs have many variations. Respond to the panel under your thumb, answer the question as if you were someone else while in family or group therapy and many more options. More than a ball! Throw it! Catch it! Who Are You Thumball promotes social skills, development and emotional intelligence. 4"
I find this thumball to be very helpful as an ice breaker activity and to help build rapport with the children that I work with. a little smaller than what I was expecting, but I think it's great! Definitely a conversation starter and rapport building tool with new clients who aren't very vocal! This thumball has been very beneficial in the group counseling sessions I had led with adolescents. The boys had a great time throwing the ball around the table and answering questions. It's a great way to get a group counseling session started by giving the adolescents some easy questions to get started, and they find it fun too.